ColoradoAvalanche.com is profiling draft-eligible prospects leading up to the 2016 NHL Draft in Buffalo on June 24-25. Tyson Jost is the No. 16-ranked North American skater in the NHL Central Scouting’s final rankings. The Avalanche has the 10th overall selection at the draft. Equally skilled at creating plays and scoring goals, forward Tyson Jost is in pursuit to become one of the University of North Dakota’s top players next season. The defending National Champions’ top line, the “CBS line,” lost senior Drake Caggiula to graduation and the NHL, which means UND will likely be looking for a replacement to play with Brock Boeser and Nick Schmaltz for the 2016-17 season. Jost, who could be picked early in the first round of the 2016 NHL Draft this June, has the potential of playing on the Fighting Hawks' first line right away. Choosing a college hockey powerhouse like North Dakota was an easy decision for the center. Going to college has been something the 18-year-old has planned and strived for since a young age. Jost was selected by the Everett Silvertips in the first round (seventh overall) of the 2013 WHL Bantam Draft, but he turned down the offer to play major junior in order to retain his NCAA eligibility. The St. Albert, Alberta native played in 36 games as an alternate captain for the Okanagan Rockets of the British Columbia Major Midget League in 2013-14 and totaled an impressive 88 points (44 goals and 44 assists). The Rockets went on that year to win the BCMML Championship, the second in club history, and the Pacific Regional Championship, a first for the club. Jost then landed a spot with the Penticton Vees of the British Columbia Hockey League, where he recently finished his second full season with the club. The 5-foot-11, 191-pound center is rated as the 16th-best North American skater in NHL Central Scouting final rankings for this summer's draft, and his dedication to becoming a better player is evident. 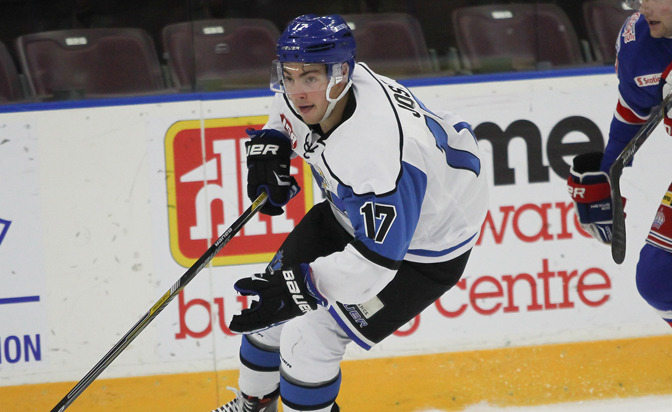 Jost improved from 45 points (23 goals, 22 assists) in 46 games during his first season with the Vees in 2014-15 to putting up a total of 104 points (42 goals, 62 assists) during 48 contests this past season. Jost also picked up plenty of personal accolades while captaining the Vees in 2015-16. He was named league MVP and was a First Team All-Star in the BCHL before earning the Canadian Junior Hockey League's National Player of the Year and Top Forward awards. During his time with Penticton, the left-handed shooter also represented his country at various international tournaments. At the Ivan Hlinka Memorial Tournament last August, Jost scored three goals in four games for the under-18 squad and helped Canada to the gold medal. He went on to win another gold for Canada West at the 2015 World Junior A Challenge last December, where he posted nine points (three goals, six assists) in four games as team captain. 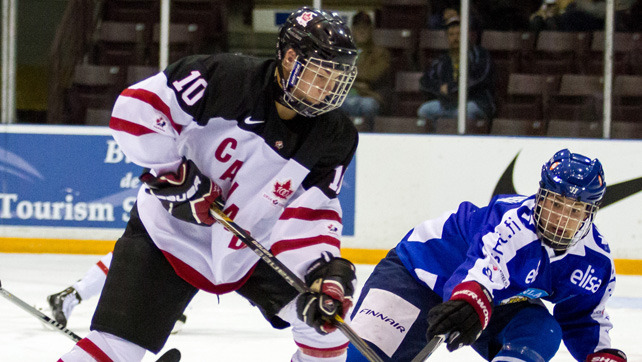 Jost then captained Team Canada at the IIHF Under-18 World Championship in April. He was named the best forward of the tournament after he led all players with 15 points (six goals, nine assists) in seven games, breaking Connor McDavid's record for points by a Canadian player at the World U-18's. If Colorado Avalanche drafts the soon-to-be Fighting Hawk, Jost would become the third player in the organization from St. Albert, joining forward Jarome Iginla and defenseman Nick Holden.